Below you can view all the homes for sale in the Grand Cascades subdivision located in Suwanee Georgia. Listings in Grand Cascades are updated daily from data we receive from the Atlanta multiple listing service. To learn more about any of these homes or to receive custom notifications when a new property is listed for sale in Grand Cascades, give us a call at 404-998-4162. Amenities Include: Jr Olympic Pool, Toddler Pool, 6 Tennis Courts, Sports Complex, Very Active Social N'Hood! MLS#6526990. Keller Williams North Atlanta. Amenities: Walking Trails On Chattahoochee, Sports Complex, 2 Fishing Lakes, Jr Olympic Pool, 6 Tennis Courts, Award Winning Schools! MLS#6524700. Keller Williams North Atlanta. Basement Is Finished W/A Bedroom, Closet & Full Bthrm, Workshop & Access To Backyard! Neighborhood Has Loads Of Amenities! MLS#6526317. Atlanta Communities. 3-Car Garage, New Driveway! A Beauty! Best Schools! MLS#6526163. Best Home Realty, Inc..
Add'L Tandem 3-Car Garage In The Basement Or Room To Store A Boat.Bedrooms Are Spacious With Private Baths,Large Closets!Dining Room With Triple Windows,Gentleman'S Study, 2-Story Foyer. Huge Deck To Big Backyard. MLS#6521229. 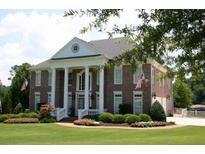 Atlanta Fine Homes Sothebys Intl..
Great Schools, 3 Car Garage, Level Yard/Driveway Complete This Perfect Home! MLS#6518404. Atlanta Communities. No Need To Preview - Check Out The Photos - It Won'T Last Long! MLS#6518473. Keller Williams Realty Community Partners. Great Potential And Return On Investment! MLS#6505492. Keller Williams North Atlanta. Amenities: Sports Complex, Jr. Olympic Pool And Top Rated Schools! MLS#6502851. Keller Williams North Atlanta. Beautiful Landscaping. Award Winning Schools! Fabulous Amenities! MLS#6502255. Century 21 Results. New Architect Shingles; Upgraded Basement, Main Level & Upper Level Hvacs. New & Refinished Hardwood Thru Ml. MLS#6110775. Property Systems Of The Southeast, Llc..